Assistant Chief Sheets was born in 1940 at Birmingham, Alabama. He served his country in the United States Air Force. He joined the police force in 1968, after working for the Davidson Rubber Co. in Farmington. He was also a member of the Strafford County Law Enforcement Association and the Lebanese Club in Dover. On the evening of February 12, 1969, Assistant Chief Sheets was on patrol in his cruiser on Route 11 during a blizzard. He was fatally injured when his police cruiser collided with a dump truck. Assistant Chief Sheets was taken to Frisbee Memorial Hospital in Rochester, where he died the next morning from his injuries. He was 29 years old. 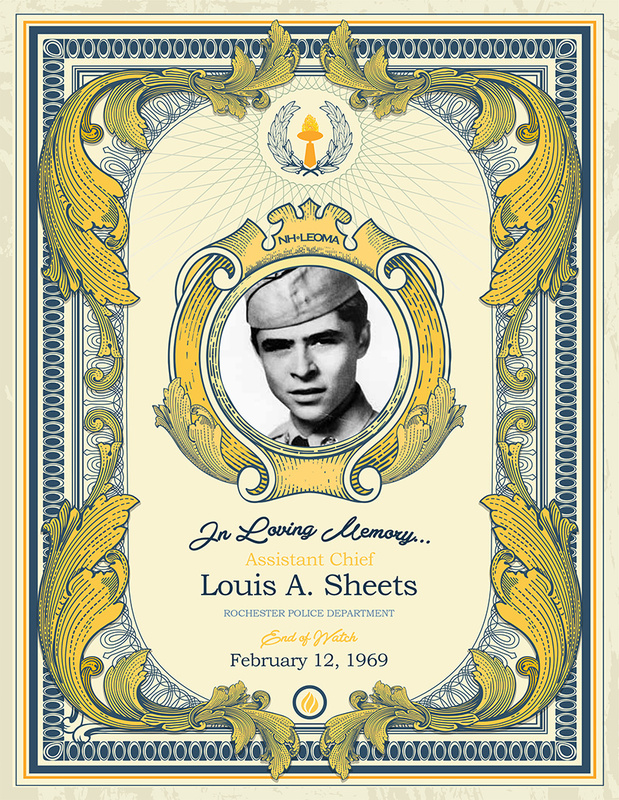 Assistant Chief Sheets was survived by his wife, Janet, his mother and father, and his three sisters.